This customer comes into the computer store. "I'm looking for a mystery Adventure Game with lots of graphics. You know, something really challenging." 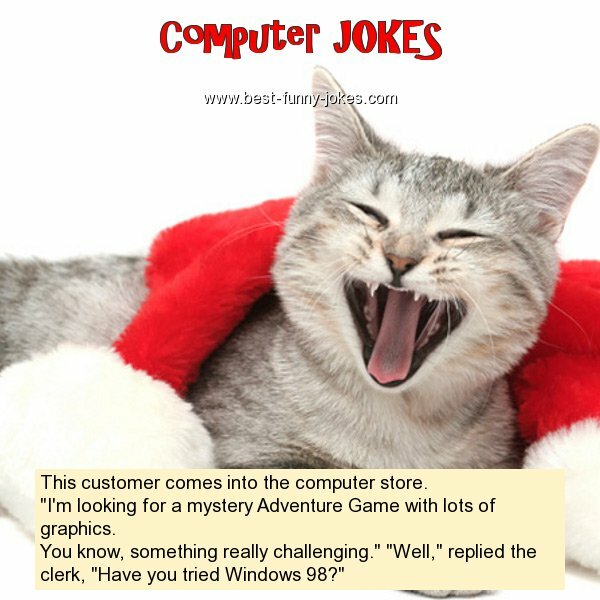 "Well," replied the clerk, "Have you tried Windows 98?"